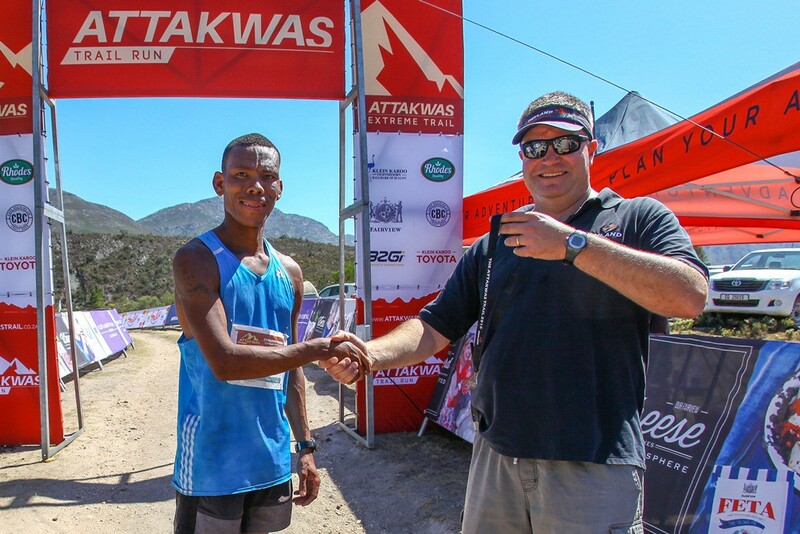 On Saturday the 17th of December 2016 the Southern Cape based star athlete, Ettiene Plaatjies, claimed his second Fairview Attakwas Trail Extreme title in the event’s second year. In the women’s race Danette Smith set a blistering pace and led from start to finish on the 29km route. Frank Smuts and Marle van Zyl won the 7.5km Fairview Attakwas Trail Mini titles. 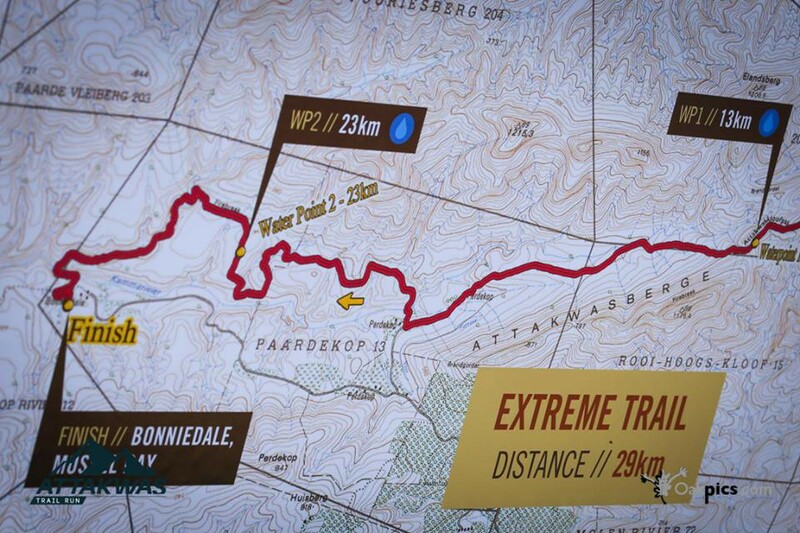 Starting at Saffraan River on the Klein Karoo side of the Outeniqua Mountains the 29km Fairview Attakwas Trail Extreme route profile underplayed the difficulty of the trail run. The old wagon trail through the Attakwaskloof, which for 150 years was the primary link between Oudtshoorn and Mossel Bay, is now a rugged 4×4 track, with steep climbs and even steeper descents made more treacherous by the loose rocky surfaces. Fairview Wine and Cheese’s Donald Mouton descends a particularly treacherous section of the Fairview Attakwas Trail’s route. The defending champion, Plaatjies, lead the field out of the Saffraan River farmlands with John April matching him stride for stride. The pair stayed together until water point one at the top of the climb into the Attakwaskloof. 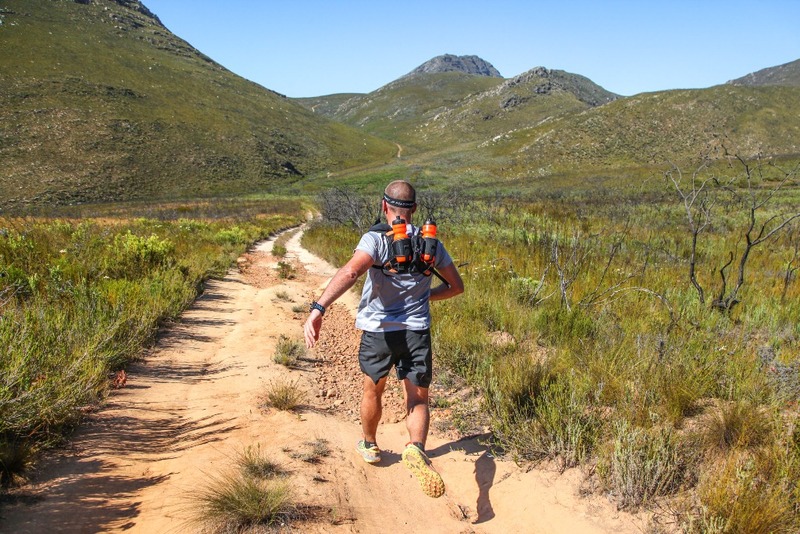 The water point at 13km also marked the highest point of the route, but any trail runners who expected it to be all downhill to the finish at Bonniedale Holiday Farm would be sorely disappointed. 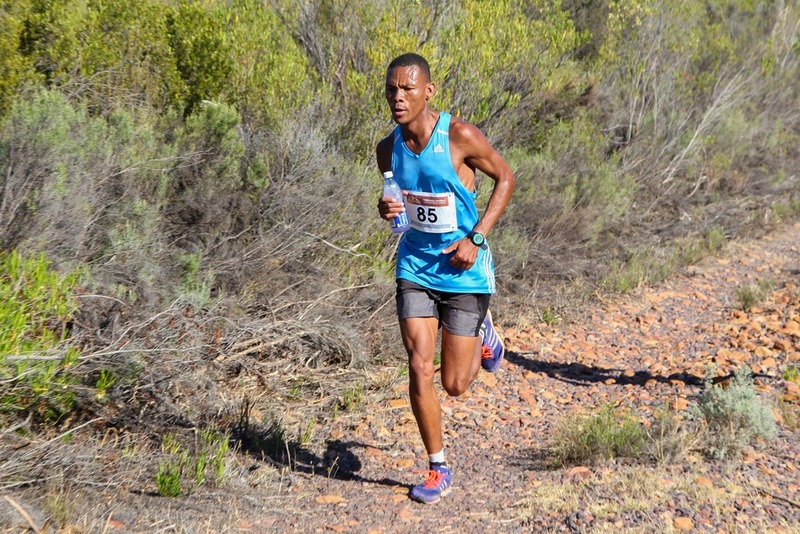 Once April dropped back; Plaatjies upped his pace, as he attempted to break the two hour mark. He had won the inaugural event in a time of two hours and fourteen minutes; which meant doing so would be a tall order. 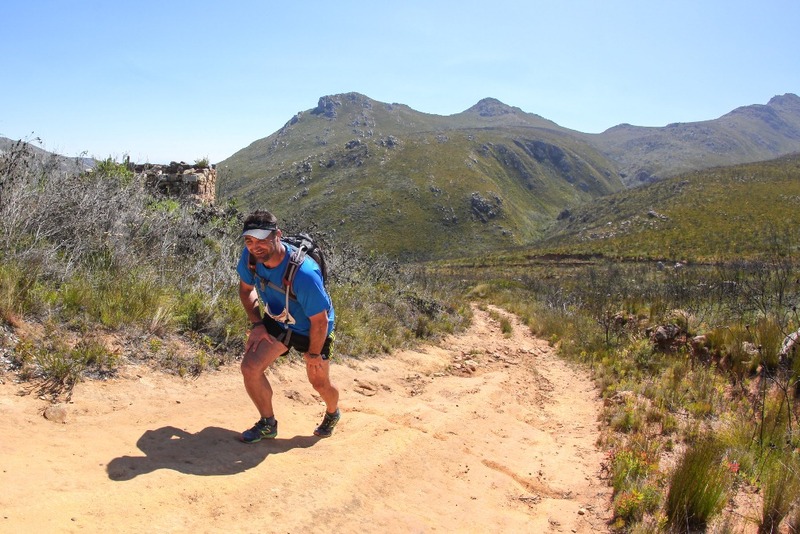 Plaatjies eventually crossed the finish line agonisingly close to the completing the challenge he had set for himself, stopping the clock on two hours and one minute. John April hung onto second, despite struggling through the final kilometres of the race, while Johnny Young claimed the final men’s podium position by out sprinting Niel Swanepoel. 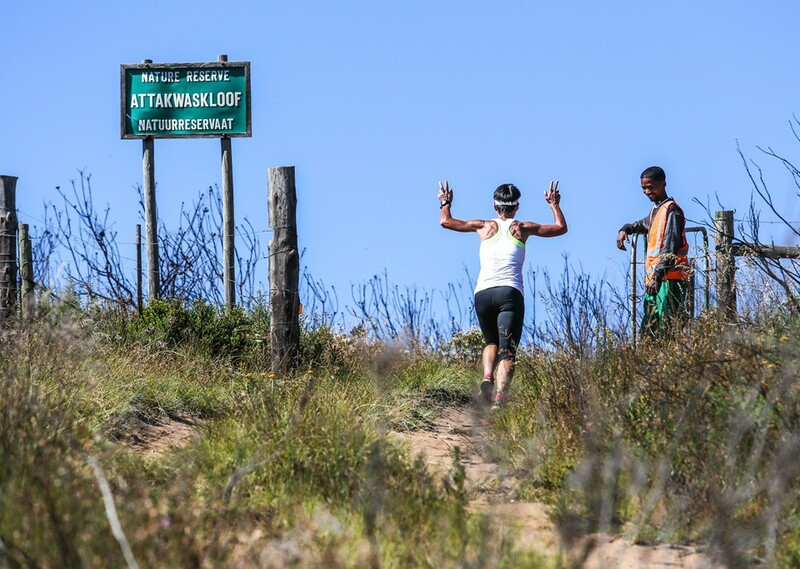 Danette Smith powering up the climb to the Attakwaskloof Neck as she ran to victory in the women’s race at the 2016 Fairview Attakwas Trail. Smith was never challenged in the women’s Fairview Attakwas Trail Extreme race cruising to victory by over forty five minutes. Her class and speed were such that Smith placed in the top five overall. 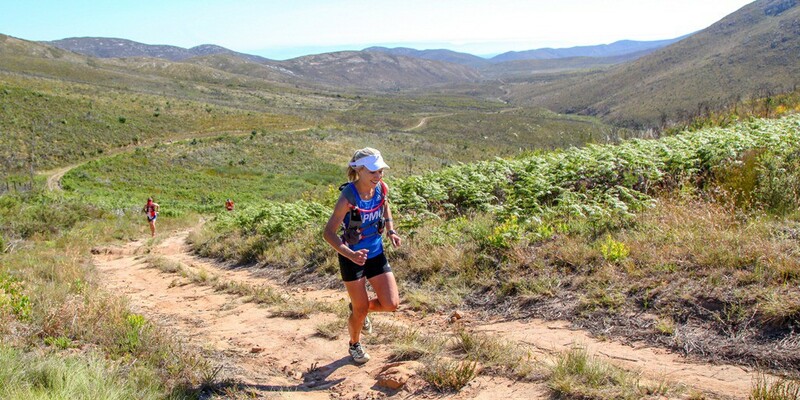 Christine Coppinger was the second woman to cross the Fairview Attakwas Trail Extreme finish line, while Beatrice de Klerk and Ilze Cordier finished together in third place. 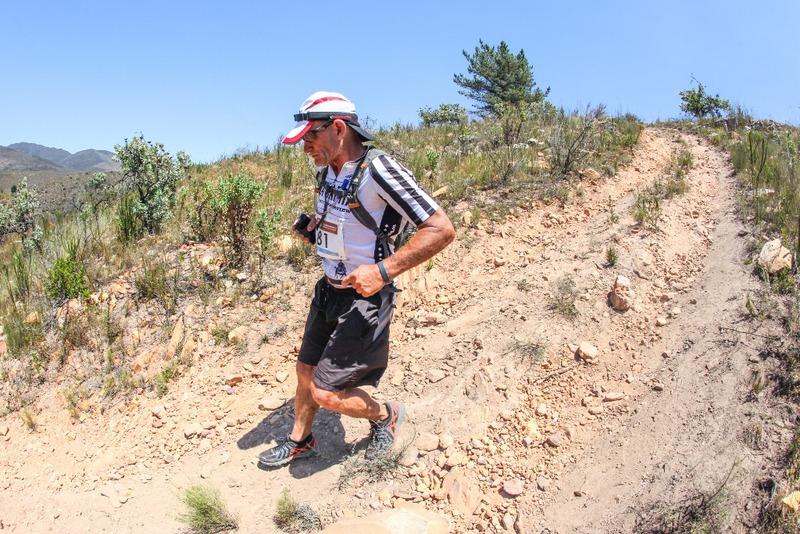 The Fairview Attakwas Trail Mini victory was claimed by Smuts, but only as a result of his GPS rerouting him to the finish rather than the start. On arrival at Bonniedale Holiday Farm, where the Extreme route finished and the Mini route started and finished, Smuts had no option but to run the short route; as the long route start was over an hour’s drive away. 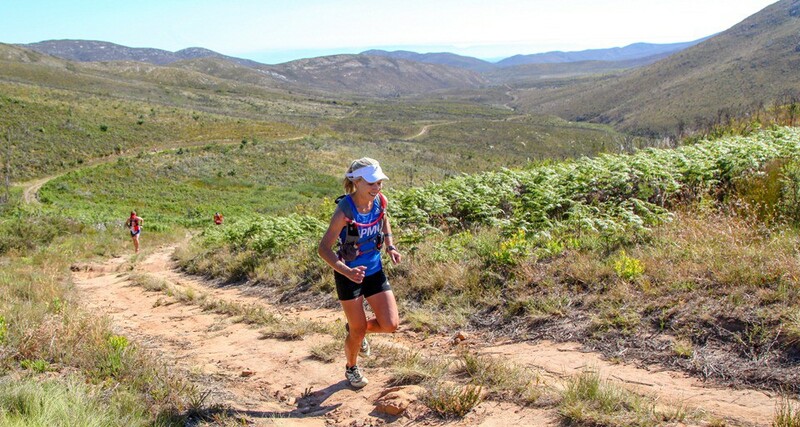 In the woman’s race for the Fairview Attakwas Trail Mini title van Zyl run to victory by five and a half minutes, and breaking the one hour barrier, on what was a short but tough route. Trail runners, including Beatrice de Klerk, traversing the sandy tracks leading to the Attakwaskloof. For the less competitive trail runners the hot conditions and the difficult trail surfaces made for challenging conditions. 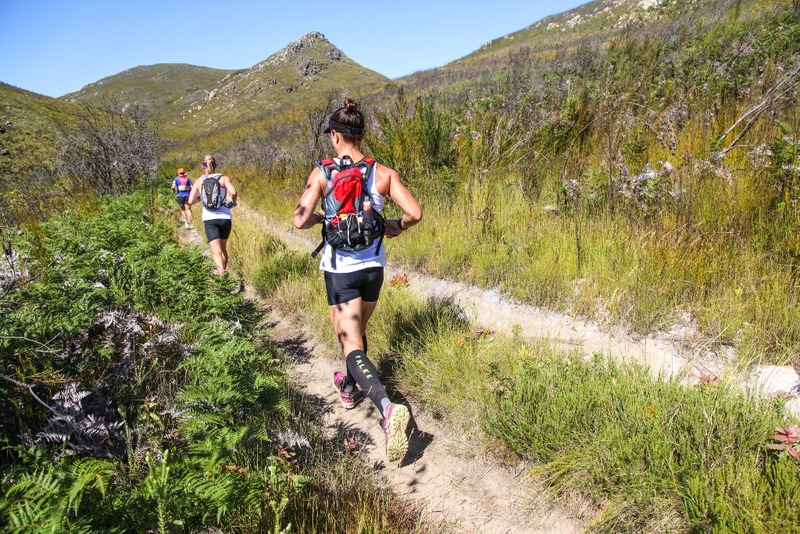 The mercury rose to over 35 degrees Celsius but with Dryland Event Management’s famously well stocked water points, including an impromptu second water point at the 17km mark, the trail runners were kept nourished and hydrated while they took in the beauty of the Attakwaskloof. The Fairview Attakwas Trail marks the end of Dryland’s 2016 race calendar and mountain bikers would do well to take heed of the deteriorating road conditions in the Attakwaskloof as the Fairview Attakwas Extreme Mountain Bike Challenge is just over a month away, in January 2017. Jason Hooper eyes the climb towards the Attkwaskloof Neck up ahead. For the 2017 edition of the Fairview Attakwas Trail Dryland have plans to evolve the race. Plans are afoot to start and finish the event at Bonniedale Holiday Farm; which will make the run significantly easier from an entrant logistics point of view. The preliminary date for next year’s event is Saturday the 16th of December 2017, when the hot Klein Karoo summer will once again make the Fairview Attakwas Trail a tough final challenge to the trail running year. 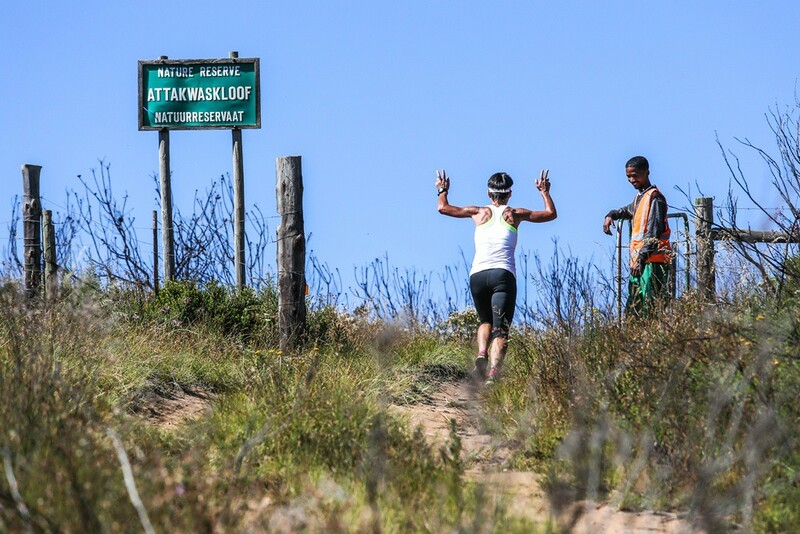 A Fairview Attakwas Trail runner grinds his way up the climb, past the old English blockhouse towards the Attakwaskloof Neck. Ettiene Plaatjies on his way to victory in the 2016 Fairview Attakwas Trail Extreme route. Plaatjies managed to complete the course in an impressive two hours and one minute.